New Moon in Leo today; one cycle completes and another begins. What is ready to begin or renew in my life today? my energy and consciousness to ? Where can I begin to generate and create something potent and magical? with me, if only I will listen? 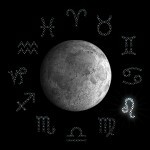 Share the post "New Moon in Leo"